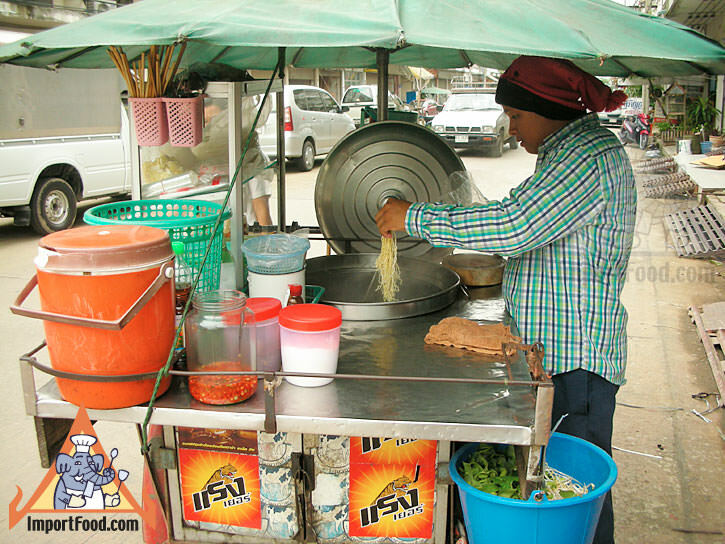 This vendor is a young man sporting a reggae cap, and he serves the noodles with a jovial spring in his step. 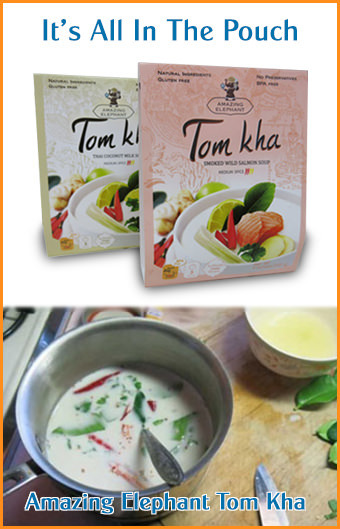 Perhaps he also offers and herbal additive to his soup to make people come back for more. 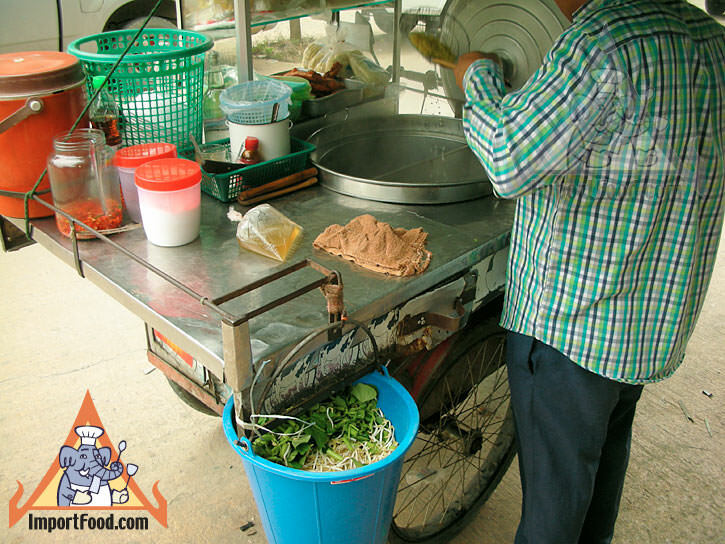 The noodles are called Ba-Mee-Keew in Thai, and they are enjoyed by people of all ages, from children to grandparents. Ba-Mee is the egg noodle, and Keew means wonton. These noodles are also served to people who are not feeling well and need some comfort food. Usually served with not much meat, or not meat at all, these noodles are easy to digest. 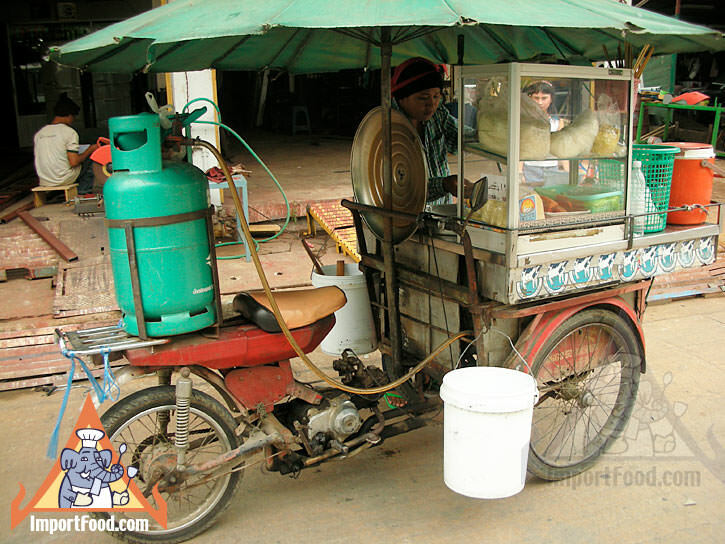 His aging motorcycle, also called "samlor" in Thai (which means three-wheeler) has a tank of propane behind the seat, to provide fuel for the soup pot. He offers a variety of noodles, displayed in the glass case. Noodle choices are senmee, senlek, ba mee, and mee krob. We ordered ba mee. He takes a handful, puts them in a wire basket and dumps them into the soup broth to cook for a minute or two. 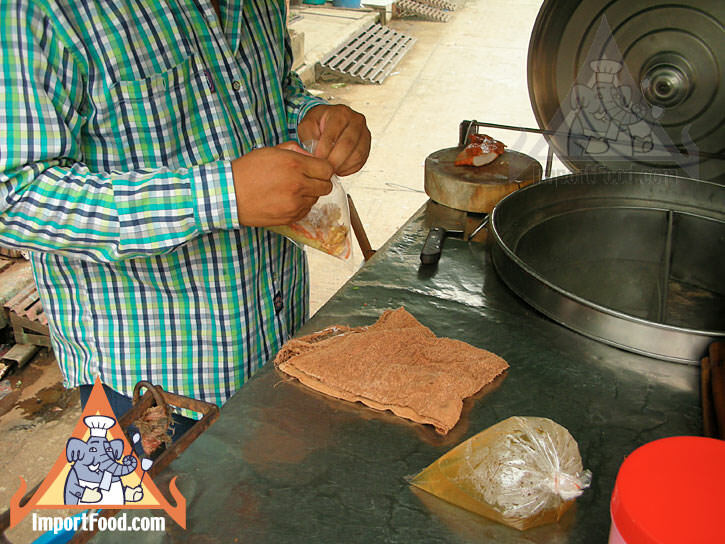 In the meantime he pours a quantity of soup broth into a plastic bag and tightens the top with a rubber band. 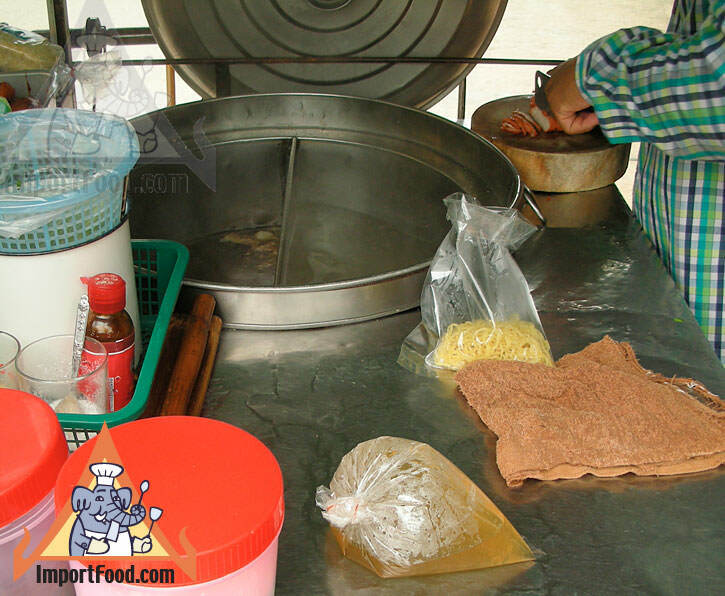 In a separate bag he then adds the cooked noodles, a bit of green vegetables, and a few slices of cooked pork (see pictures). Both the bag of soup and the bag of noodles are then put into another bag, and with a smile we bid farewell.